MyBusinessCatalog allows creating product catalogs on CD to provide your customers with the latest information on your products. 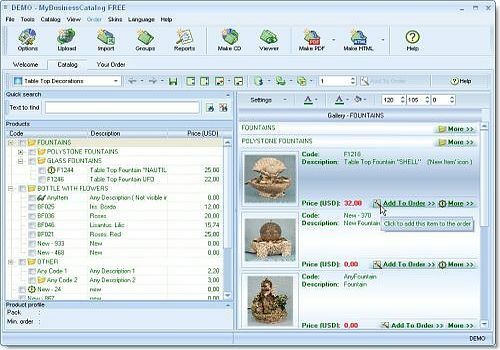 Create and submit orders via e-mail to one of your branches / sales departments right from within the program. Prompt your customer for additional information upon order submission; credit card or discount card number, Tax ID or other information you may need.